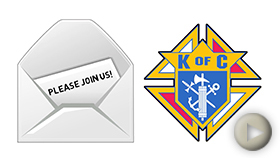 Membership shall be open to female relatives (18 years or older) of current Knights in good standing or deceased members of the Knights of Columbus. 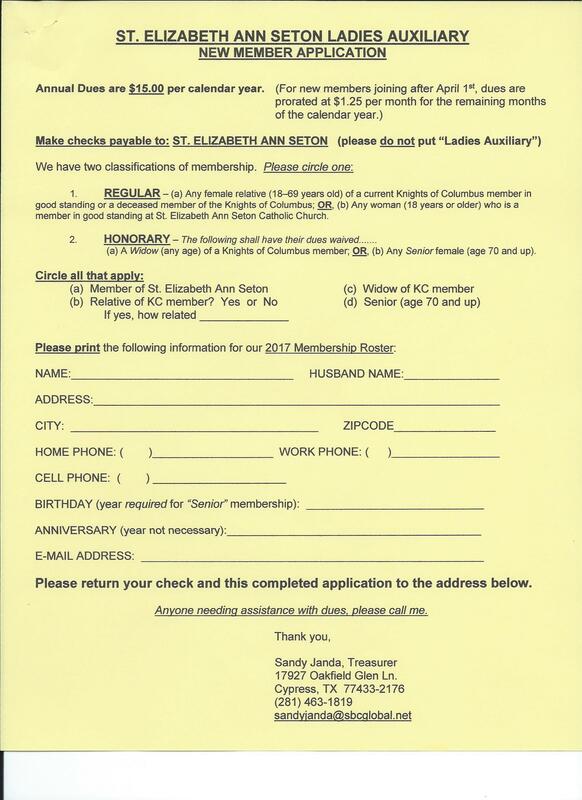 Additionally, women who are members in good standing at St. Elizabeth Ann Seton Catholic Church who are 18 years or older are also eligible for membership, and they must also be supportive of the works of the Ladies Auxiliary and Knights of Columbus Council #8096. Join other ladies in our parish to socialize with other women & share your time & talent for SEAS. 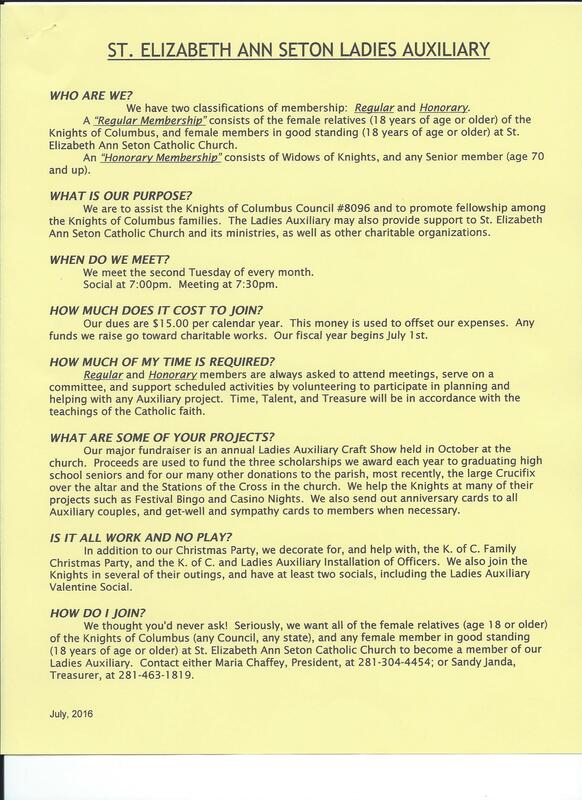 The Ladies Auxiliary meets the 2nd Tuesday of each month at 7:30 in the FLC.